Virtualized public clouds offer sufficient levels of performance for many applications, but data-intensive workloads require higher IOPS and disk I/O with dedicated physical resources. Many industries require an environment that can store, analyze and deliver large data sets in real time. 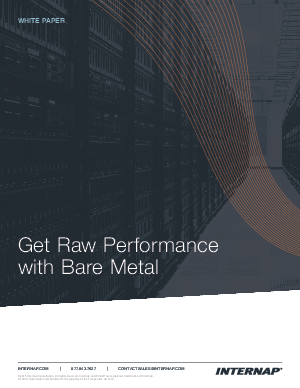 To achieve this, organizations are seeking to incorporate a bare-metal solution into their infrastructure.